when to my son's house over the weekend ( yes a NJ resident ) You talk into this box called Alexa . No more reading print or connecting online to your Iphone / home PC to talk to Siri . Just talking to the box hands free while you have a cold brew & sandwich in your hand . Can even call in a pizza ! I have zero plans on having any autobot take over my home. Tell your son the NSA is listening, so make sure he pays his taxes. Besides how fat are we getting that we can't even make a call for pizza? [quote=RobS;2432121]I have zero plans on having any autobot take over my home. Rob don?t fight it , if you feel that way about privacy get rid of your computer & cell phone the invasion has already taken place , trade in your microwave for an open flame pit to warm up your hot coco . The great idea of this is request from Alexa tunes of the 60?s & 70?s songs of choice while eating a calzone. There is a chance with your computer and cell, none once you put cameras and listening devices in your home. Hey, we can’t go back to stone tools but we still gotta get off our butts once in a while to eat. To get this thread back on track, more and more readers are beginning to admit that they no longer trust what they read. I believe that Trump and I'm not saying I always agree with him, has brought attention to press failings with "fake news" rants. Tom Brady cut off his weekly interview with the Boston radio station WEEI after a host made a disparaging comment about his 5-year-old daughter. Commenting on the first episode of the "Tom vs. Time" documentary about Brady last week, the WEEI host Alex Reimer called Brady's daughter "an annoying little pissant." Brady called the comment "disappointing," ending the interview after saying he'd perhaps call back another time. 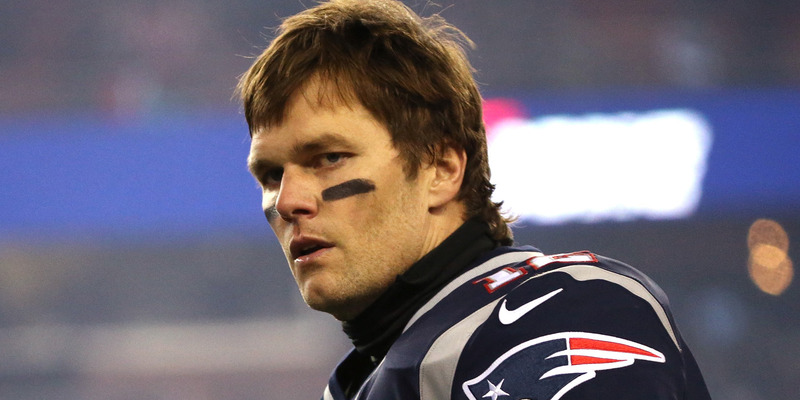 Tom Brady on Monday cut off his weekly interview with a Boston radio show whose host made a disparaging comment last week about Brady's 5-year-old daughter. While commenting on the first episode of the "Tom vs. Time" documentary about Brady on Thursday, the radio host Alex Reimer of the WEEI show "Kirk and Callahan" called Brady's daughter, seen in one of the early scenes, "an annoying little pissant." On Monday, when Brady called into "Kirk and Callahan," he criticized the radio station. "I've tried to come on this show for many years and showed you guys a lot of respect," Brady said. "I've always tried and come on and do a good job for you guys. It's very disappointing when you hear [the comments about my daughter], certainly. My daughter, or any child, certainly don't deserve that." Brady left it unclear when he would call in to the show again. "I really don't have much to say this morning," Brady said. "Maybe I'll speak with you guys some other time." According to ESPN, Kirk Minihane, one of the show's hosts, said Reimer was suspended for the entire Super Bowl week following the comments. I only called out Bahston's press, I didn't exclude any other press... just that they weren't the subject of the ahtical. Sorry, Rob. I didn't mean to be offensive. Problem is that I distrust people who make their living on the hardships of others. Having once been a victim of the press I have never recovered from the experience. No experience I have had matches Frank's but I do agree that they seem to have an agenda more that ever before. Sort of 1/2 the story, not fake news. Really good reporting would investigate before letting stuff go to print and might well mention the opposing views.....not in 2017-18. Not even close. Politics is a PITA and ruins many a good discussion. We as a fishing community have our own unique corner on fake news..reports. Last November we had an OK day on the local beach. Big rush of small fish 20"-30" eating like wild dogs and a few guys took a couple of fish 38" to 43" give or take. I was one of them and it was luck, almost. But I'm the local and knew where to set up. The following day the beach is much more crowded ( CP's ) and a guy I know and respect gets me aside and asks if there were really fish in the 20's and a couple of fish taken up to the low 40's. I knew what he had heard, so I just said "yes" and then said "inches"
The two of us were laughing for a while..fake news strikes again. Don't be in a hurry Frank. We'll get to that wheelchair sometime next year. Maybe it is sexual abuse when they don't get the job. The Boston Globe has taken sanctions out on Kevin Cullen, a leading columnist of theirs, for stretching facts and lieing in his columns. Globe high command says they seek truth and fairness in their content. That is a fairy tale if there ever was one! Fairness? They have vilified President Trump mercilessly since he took office, or should I say since Hillary Clinton lost it. If the Democrats had chosen a proper candidate, they wouldn't be sucking on their security blankets today. So, you haven't gotten over bad press, but victims of sexual abuse are cry babies,,,yeah, you make a lot of sense.